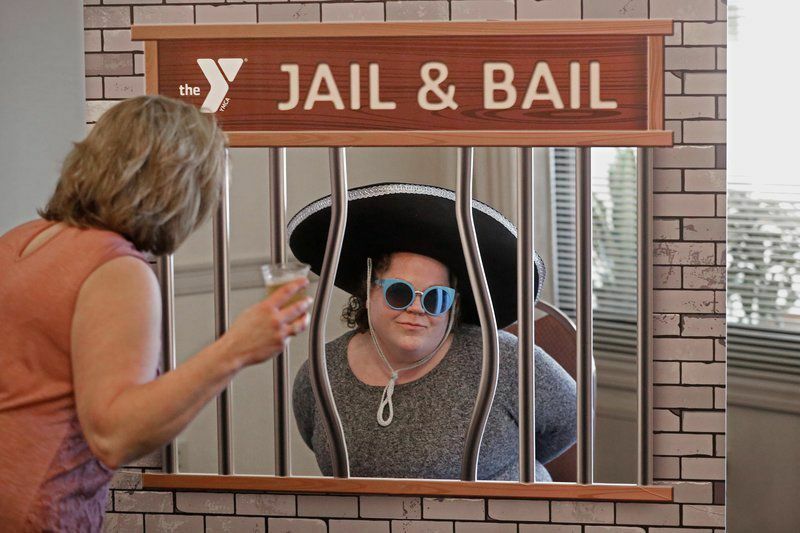 MIKE SPRINGER/Staff photoMichelle Goodnow of Goffstown looks out from behind the bars of the "Jail and Bail" booth during the YMCA of Greater Londonderry's annual Tasting and Benefit Auction at the Castleton Banquet and Conference Center in Windham. 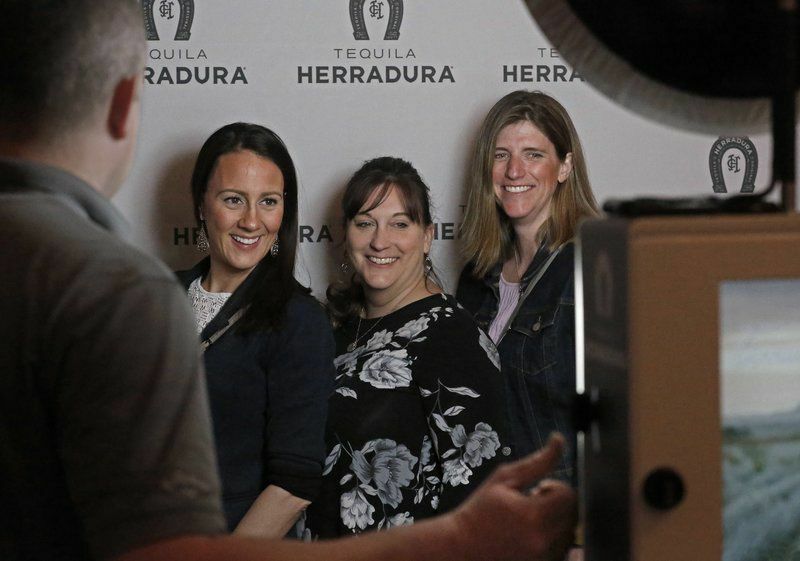 MIKE SPRINGER/Staff photoFrom left, Stacey Leon, Lisa Therrien and Kristina Ciarametaro, all of Londonderry, have their photo taken during the recent YMCA of Greater Londonderry's annual Tasting and Benefit Auction at the Castleton Banquet and Conference Center in Windham. MIKE SPRINGER/Staff photoChristine Patton and Town Manager Kevin Smith of Londonderry look at the auction items during the annual YMCA of Greater Londonderry Tasting and Benefit Auction held April 4 at the Castleton Banquet and Conference Center in Windham. MIKE SPRINGER/Staff photoLisa and Bill Caselden of Derry sample the food during the YMCA of Greater Londonderry's annual Tasting and Benefit Auction held April 4 at the Castleton Banquet and Conference Center in Windham. WINDHAM — The YMCA of Greater Londonderry hosted a "Calling All Heroes" gala evening April 4 at the Castleton function facility in Windham. Guests enjoyed food, entertainment, a silent auction and other fun ways to support the local YMCA facility, supporting the organization's family programs, summer camps and other ways to help the community and its residents. Through the event, the YMCA estimates providing more than $35,000 in financial support for youth and families in the community.